Christmas trees don’t just come in the real or fake variety. They also come in the tissue paper variety! I made this fun alternative Christmas tree made from honeycomb balls for Oriental Trading. 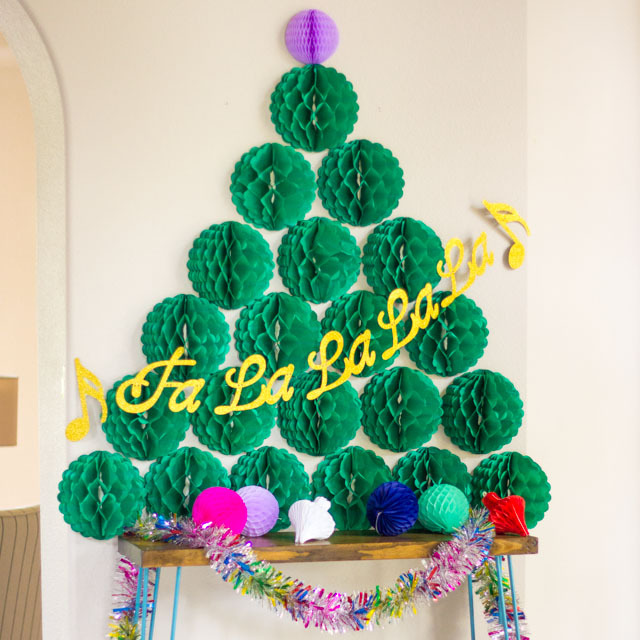 It’s perfect for decorating a tight space like an entryway, for colorful holiday party decor, or for a year when you just don’t feel like putting up a traditional Christmas tree! 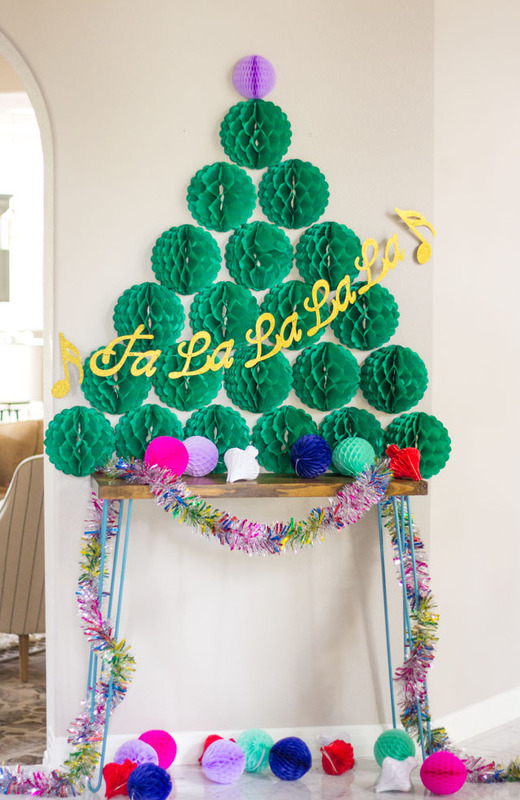 I made our foyer extra festive by creating the tree above the small console table and wrapping a colorful garland around the legs with more honeycomb balls at the base. 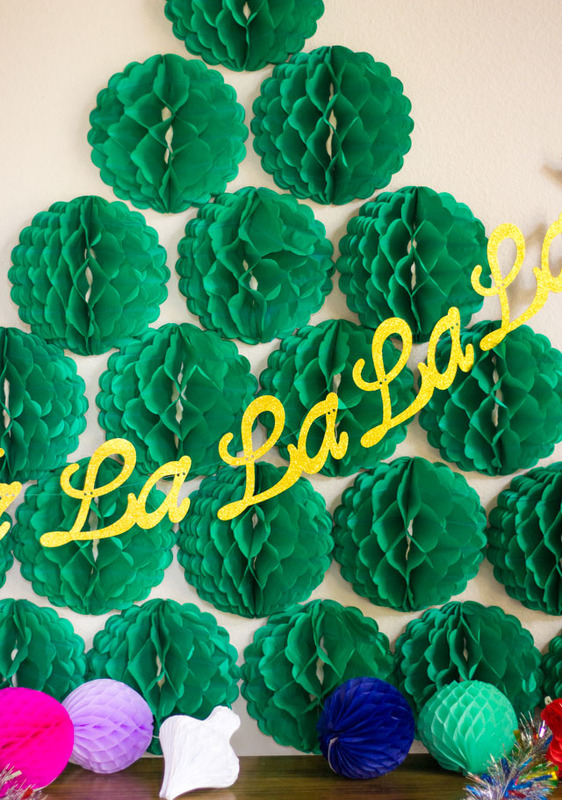 Making the tree is as simple as opening up the honeycomb balls halfway and sticking them to the wall with painter’s tape! My size of tree works great on top of a table or fireplace mantel, but you can make a larger tree by adding more rows of honeycomb balls. So easy! Head to Oriental Trading’s blog for the step-by-step honeycomb ball tutorial and full list of supplies!